Receive daily messages of love, wisdom, and encouragement with a 365-day reader from New York Times bestselling author, physician, and mystic Dr. Lissa Rankin. 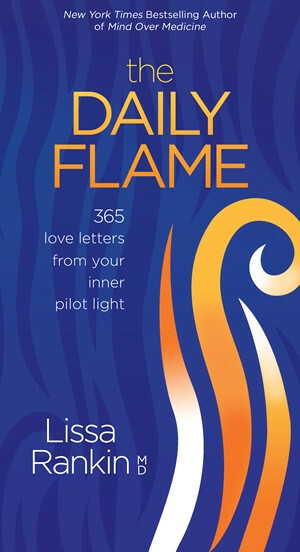 Each new message from your Inner Pilot Light will bring you inspiration and encouragement for the day ahead. The letters cover a wide range of themes, from abundance and health, to following your dreams, to finding your tribe, and persevering through challenges. Some readings offer practices and reflection questions, while others offer deep wisdom and spiritual insights. You might get a motivating kick in the patooty one day, and an unbridled love letter the next! As you read each day, you’ll learn to embrace your own authentic knowing and trust the voice of your divine self. Enter the mysterious landscape of the soul and let your light shine bright with The Daily Flame.